A medication called mirogabalin is providing hope of symptom relief with fewer side effects than current fibromyalgia (FMS) treatments offer. It's too early to know for sure, though. Mirogabalin is an experimental drug that's that third member of a "family" of medications that is familiar to the FMS community. Its progenitors are Neurontin (gabapentin) and Lyrica (pregabalin), which has been called "son of Neurontin." Neurontin and Lyrica are both anti-seizure drugs that also have been found effective for the pain of diabetic neuropathy. Lyrica was then FDA-approved for FMS and Neurontin is frequently prescribed off-label for it. They're also used for other types of pain, including post-surgical pain and postherpetic neuralgia. Mirogabalin, however, has been developed specifically with neuropathic and FMS pain in mind. According to Japanese drug manufacturer Daiichi Sankyo, mirogabalin binds to calcium channels in the brain, as do Lyrica and Neurontin. However, mirogabalin reportedly binds more selectively than Lyrica, which could make it cause fewer side effects. Currently, negative side effects can be a major problem with Lyrica, Neurontin, and other FMS drugs. In fact, many people stop taking these drugs because of them. If early expectations hold and mirogabalin offers pain relief with fewer negative reactions, it would be a big deal to people with this condition. Mirogabalin is also believed to be longer lasting than Lyrica, meaning it may need to be taken less often. A January 2016 study suggested that a twice-daily dose may be best for minimizing side effects. Daiichi Sankyo is currently conducting a thousand-person study on mirogabalin for FMS. That's an especially large (and therefore expensive) study for so early in the process, which indicates that the company is optimistic about the results. Drug studies most often compare the medication to placebo, but this one is pitting mirogabalin head-to-head against Lyrica. A study published in 2014 suggested that mirogabalin showed promise as a treatment for diabetic peripheral neuropathy. 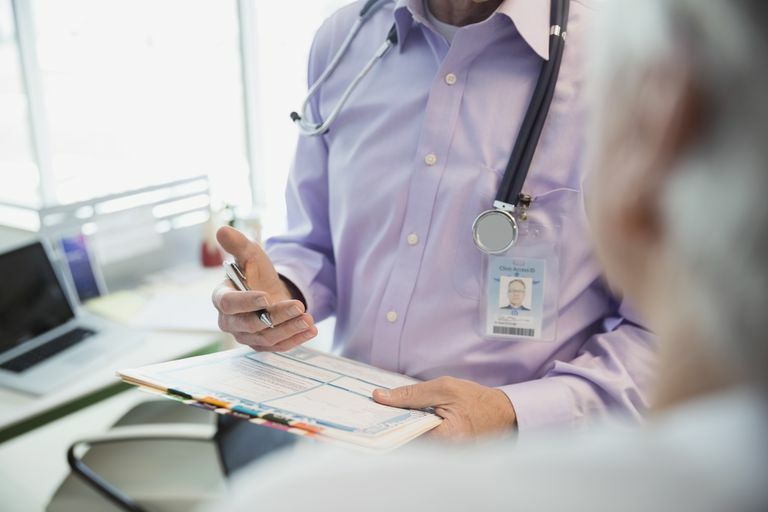 A more recent study estimated that mirogabalin may be as much as 17-times more potent than Lyrica; however, some researchers have criticized the study's design. Proper dosages of miragabalin haven't yet been established. The study that found the 17-fold potency mentioned above estimated that the dosage would likely be 17.5 mg or lower, compared to 150 daily mg of Lyrica. Neuropathy studies are using 15 mg, 20 mg, or 30 mg doses. Early evidence indicates that lower dosages may be necessary for those with moderate or severe kidney problems. Side effects are possible with any medication and the full range of them typically isn't known until after they've been on the market for a few years. When Will Mirogabalin Be Available? Medical research is an extremely slow process. With the first major trial having started in 2015, and including a huge number of participants, we can't expect to see results for possibly a few years. If mirogabalin continues to show promise and a New Drug Application goes before the FDA, it could take another couple of years for it to be approved or rejected. So while it's encouraging to know that treatments offering pain relief with fewer side effects may be in our future, we need to continue searching for current treatments that can help us manage symptoms. Boston Clinical Trials. "What's So Promising About Mirogabalin? Clinical comments on our new Fibromyalgia study." All rights reserved. Calandre EP, Rico-Villademoros F, Slim M. Expert review of neurotherapeutics. 2016 Jul 7:1-15. [Epub ahead of print] Alpha2delta ligands, gabapentin, PGB and MGB: a review of their clinical pharmacology and therapeutic use. Daiichi Sankyo Company, Limited. "Daiichi Sankyo Announces First Patients in Large-scale, Multi-national Phase 3 Clinical Programs for MIrogabalin." All rights reserved. Hutmacher MM, et al. Journal of clinical pharmacology. 2016 Jan;56(1):67-77. Exposure-response modeling of average daily pain score, and dizziness and somnolence, for mirogabalin (DS-5565) in patients with diabetic peripheral neuropathic pain. New Drug Approvals. "Mirogabalin." All rights reserved. Vinik A, et al. Diabetes care. 2014 Dec;37(12):3253-61. Efficacy and safety of mirogabalin (DS-5565) for the treatment of diabetic peripheral neuropathic pain: a randomized, double-blind, placebo- and active comprator-controlled, adaptive proof-of-concept phase 2 study. Yin OQ, et al. Journal of clinical pharmacology. 2016 Feb;56(2):203-12. Population pharmacokinetic modeling and simulation for assessing renal impairment effect on the pharmacokinetics of mirogabalin.